ATTENTION sixth through ninth-grade girls and boys across America! Here's something amazing to work on over spring break this year! Sixth through ninth-grade girls and boys across the nation are invited to participate. 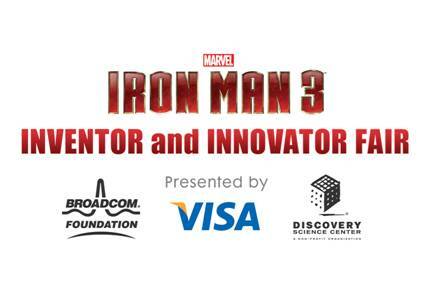 The 12 finalists of the Marvel’s IRON MAN 3: INVENTOR and INNOVATOR FAIR will win a trip to Southern California, provided by Visa Signature. 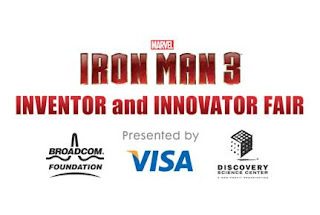 The trip includes a behind-the-scenes tour of Disney Studios, a meeting with Disney Imagineers, a trip to Disneyland, a visit to Discovery Science Center and more!